The Birdcage is a unique reception venue boasting vintage birdcages suspended from the ceiling and décor that reflects the garden oasis that surrounds the space. The casual style and vintage nature of the The Birdcage is inspired by the surrounding environment of our established gardens. Guests can relax in the private space where botanical wallpaper, rustic tables and vintage props create an eclectic function destination filled with beautiful photographic backdrops. Catering for a maximum of 70 guests seated, bi-fold doors and Plantation shutters offer complete privacy. 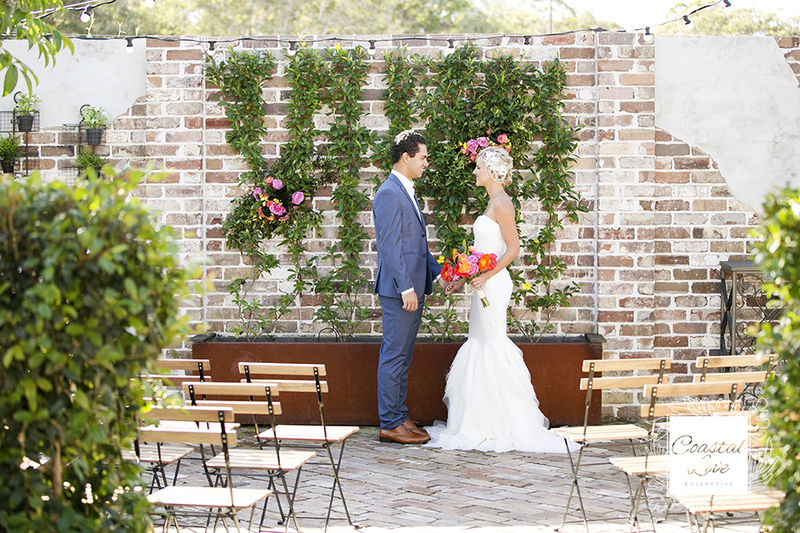 The room flows outdoors to The Yard which delivers a truly authentic Australian backyard wedding experience with a citrus grove and raised herb gardens. It offers an alfresco space for your ceremony and is perfect for pre-dinner drinks and canapes under the stars. The citrus grove and raised herb garden beds, vintage tractor, aged brick walls and paths and our very own resident chickens house on site in vintage enclosures, all add to the charm of the function space. Our Head Chef offers delicious seasonal menus with fresh herbs and produce picked daily from the garden beds and used in every dish. Impeccable food served with warm Queensland hospitality.